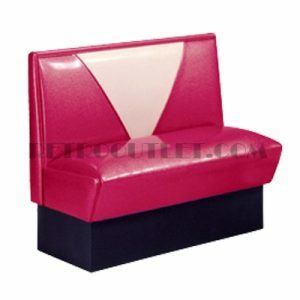 The Serenade Diner Booth (Model SD-1) is a fully upholstered booth featuring diamond tufting and 36″ overall height. This series can easily transition into a more contemporary environment with your fabric choice. Available in your choice of standard and designer vinyls. As shown, upholstered in American Beauty (Red)….Fabulous! Please allow 4-5 weeks for production of the Serenade Diner Booth in your choice of colors.